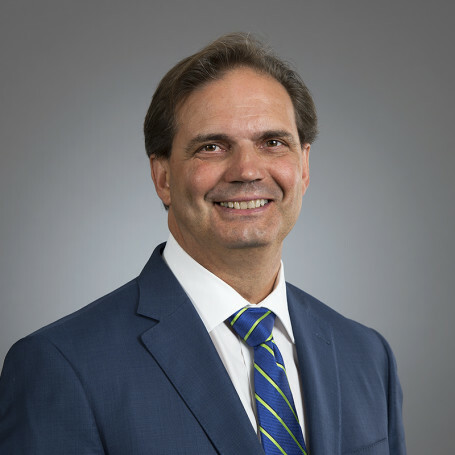 Len Andrychuk has broad practice expertise with environmental law, First Nations law, property tax assessment, construction contracts, industrial project development and major equipment procurement. Horner v. Saskatchewan, 2013 SKQB 340, establishing the validity of a release of Charter claims against the Province and Workers’ Compensation Board. Prince Albert (City) v. Domtar Pulp and Paper Products Inc., 2011 SKCA 151. Representing the successful party in a case determining that a tax agreement with the City was ultra vires. Canco Oil & Gas Ltd. v. Saskatchewan,  4 W.W.R. 316. Representing the successful party in a case determining that a grant of a royalty interest is an interest in land, affecting thousands of royalty interests in the province. Horner v. Saskatchewan, 2009 SKQB 270. Successfully opposing certification of a class action seeking retroactive and prospective benefits under Saskatchewan’s Workers’ Compensation Act. Saskatchewan panelist for dispute resolution under the Agreement for Internal Trade (2005-2010). Chapman v. Canada, 2007 SKQB 151. Representing manufacturers in a novel motion to secure a complete dismissal of a third-party claim in a class action. Core team member and author of the recommendations for legislative change in Saskatchewan’s move to a results-based system of environmental regulation: Toward a Results-Based Regulatory System, Clifton Associates Ltd., February, 2009. Ravndahl v. Saskatchewan, 2009 SCC 7. Counsel for the Workers’ Compensation Board of Saskatchewan in a Supreme Court of Canada decision establishing that limitation periods apply to constitutional litigation. As counsel before administrative tribunals, Saskatchewan and Alberta courts, and the Supreme Court of Canada, Len has appeared in more than 100 reported judgments, with more than 60 at the appellate level. He has considerable experience in the resolution of construction, equipment procurement, oil and gas development, and other commercial disputes through the courts and inter-provincial and international arbitration. He routinely represents clients before the Saskatchewan Municipal Board and Saskatchewan Court of Appeal in property tax assessment appeals. Len has acted as counsel, from conception to completion, on major industrial construction projects in both Canada and the United States. His focus on environmental law issues covers a broad spectrum of industries, including mining, oil and gas, real estate development, construction, and diverse light and heavy industry. He represents clients in environmental litigation, and advises on environmental compliance, liability and remediation. Len has advised First Nations and corporate clients on the duty to consult with First Nations and Métis peoples, and in matters relating to Aboriginal and Treaty rights. He has represented clients before the Alberta courts in significant First Nations consultation cases.